The efficient use of your limited time begins with the internalization of 3 simple tenets that form the cornerstone of Time Management Tao. If this is the first time you are visiting our time management website, this is a great place to begin your exploration. I will list out a simple sequence to follow through this content-rich site, in order to quickly introduce you to the concepts and allow you to get the highest value from the time you spend here. A comprehensive list of all articles, special reports and short courses about better time management can be found on the site’s home page here, or on the Time Management blog here. I’ll also cordially invite you to sign up to our free email newsletter. It will help you master this simple and effective system of better time management. You’ll receive updates and some exclusive information by email on a regular basis. An amazing suite of productivity tools that are designed to help you prioritize what’s important to get done on a day to day basis, and then integrate that into the overall context of your bigger picture. The online tools are simple, yet effective in keeping you on track. A simple ebook that’s barely 50 pages long, yet shares some powerful secrets to avoiding distraction and staying focused on the job at hand. Armed with this information, your productivity will soar. You’ll be amazed at just how your computer time is spent when you get the detailed reports from this personal productivity service. Knowing what wastes your precious time will help you eliminate distraction and get more things done. If you don’t know where you’re going, any road will get you there! It’s far more effective – and fun – to know your destination, and set a clear route towards it. This guide will help you do it quickly and easily. 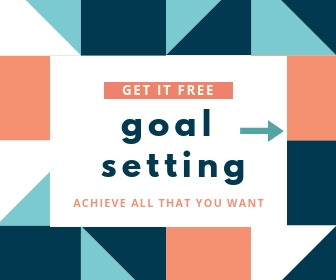 A efficiency checklist that will work just as well as any mind mapping software in breaking off the shackles of what’s holding you back from massive success. Time Management Tao strives to move you towards calm, joy and harmony through better time management. You’ve known many valuable things in your life. But as precious as they may be, there’s something that’s even more valuable. Your TimeEach of us has 24 hours in our day. Using it wisely can transform our lives. Frittering it away on purposeless activity will have disastrous impact in the long term. “Time Management Tao” is about managing time better. Embracing the primordial essence, the fundamental nature of the universe… which is rooted in the realization that there’s more than enough time available for the important things in life. By managing your time guided by the Tao philosophy, you’ll easily find 3 extra hours in your day! Time Management Tao is not just about being more efficient, but also becoming more effective. And that comes only from seeking and finding balance in all important areas of your life. Imagine that you’re juggling 5 precious, expensive Ming vases. You can’t afford to drop even one of them. But without even noticing it, we’re dropping far more precious ‘Ming vases’ in our own life – health, relationships, wealth, spiritual purpose, and our own legacy. I follow only a few blogs. Comment on fewer. A month ago, I read an interesting post on one of them and wrote a comment. It was held for ‘moderation’. The next day, I saw another interesting post on that blog, and was about to comment when I remembered the earlier one. Had it been published? I clicked through to the post – but no, I couldn’t see it. I hopped over to Twitter to let the blogger know. “I’ll look into it” was the reply. A week later, my comment was still not showing up. I removed that blog from my feed reader. I don’t like wasting my time, and posting comments that aren’t promptly moderated falls under that category. If that were all, it’s no big deal. The blogger was about to launch a new paid program. Based on the fact I found the blog interesting enough to comment on, I might have spread word about the product – which has to do with blogging better, btw. There’s no way to know whether or not that would have made sales, or brought them new affiliates, or helped the brand… but it was a ‘missed opportunity’ nonetheless. I’m sure there was no intention to offend at play – but the loss is still real. Fans are fickle. They want acknowledgment, even approval. Or they leave. A tribe is hard to build, harder to nurture. Finding your 1000 true fans isn’t a walk in the park. Who are YOU offending unintentionally? Worth a thought. Or ten.